We humans are so enthusiastic that we look at different things in nature and try to replicate it in our own way. Humans saw birds flying and wanted to invent something so that they could fly too. Many efforts were made, many inventions were invented, and eventually aeroplanes came into existence that enabled us to fly from one place to another. The source of all motivation was from mother nature. Similarly, there were efforts made to replicate the human brain. 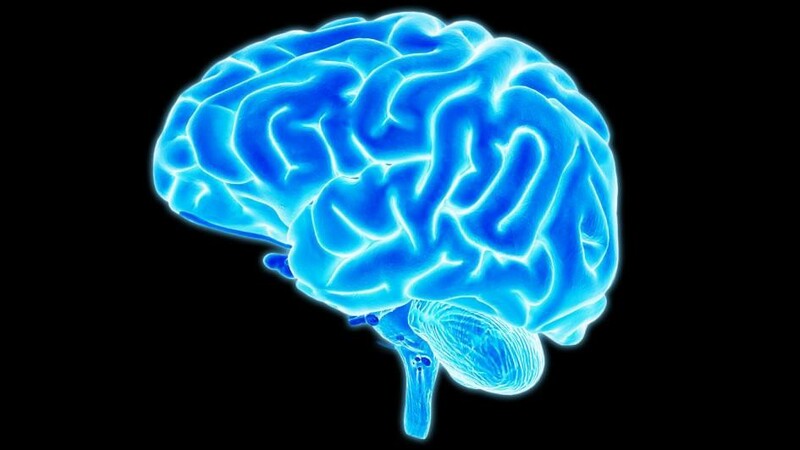 A number of researchers tried to understand the working of a human brain. After many years of research, Artificial Neural Networks were invented vaguely inspired from the biological neural networks inside our brain. Human brain is really an amazing thing. It can identify objects, recognize patterns, classify things, and much more. What if a machine could do all this stuff? Wouldn’t that be cool? Today, as in 2018, we have come a long way in Artificial Intelligence. Many AI models are invented that could classify things, predict future, play games better than humans, and even communicate with us. 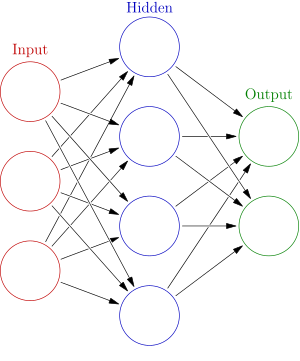 A neural network is a collection of neurons/nodes interconnected with each other through synaptic connections. An artificial neural network looks something like this. The inputs to the neural network are fed to the input layer(the nodes in red color). Each node in a neural network has some function associated with it, each connection/edge has some weight value. The inputs are propagated from the input layer to the hidden layer (nodes in blue color). Finally, the outputs are received at the output layer(nodes in green color). Spoiler Alert !!! 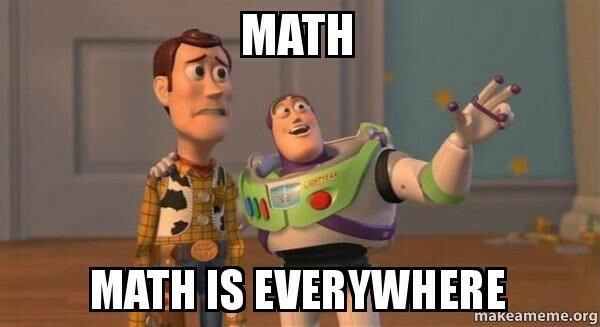 “Math” ahead!! Today, lets build a perceptron model, which is nothing but a single node of a neural network. Invented in 1957 by Frank Rosenblatt at the Cornell Aeronautical Laboratory , a perceptron is the simplest neural network possible: a computational model of a single neuron. A perceptron consists of one or more inputs, a processor, and a single output. 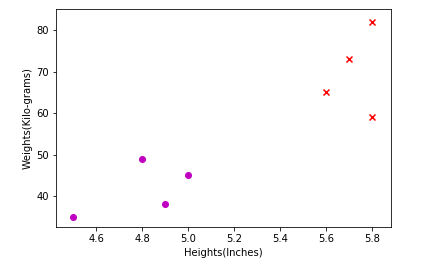 Lets understand the perceptron model with a simple classification problem. Our motive is to fit a decision boundary(a line) that separates all the male samples from the female samples. Well, we can do it by hand, try to find the equation of a line that separates both the classes. But, this is just a toy data, in real life applications, data is humongous, and we humans are too lazy to sit and go through each and every data point to find the equation of the decision boundary. 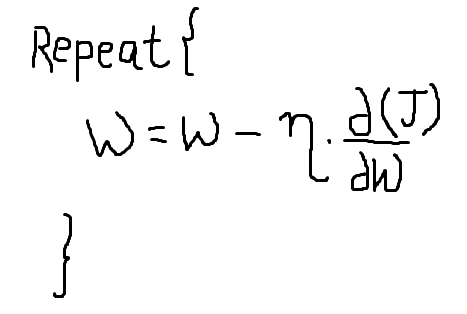 Hence, we’ll use the perceptron model that’ll find the equation of the decision boundary for us. All we have to do is feed the input and output data for the model to train. 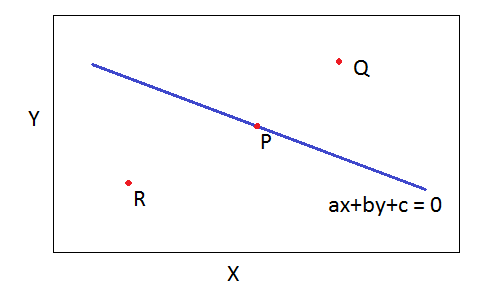 When we substitute the point P(x,y) in the equation, ax+by+c, it will give a value of 0(Since P lies on the line). when we substitute the point R(x,y) in the equation ax+by+c, it will give us a value less than 0(Since R lies below the line). 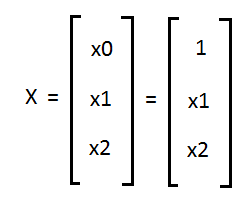 if negative, the sample is a female sample(Y = -1). On Plotting the above property discussed, we get a function called the Sign function. 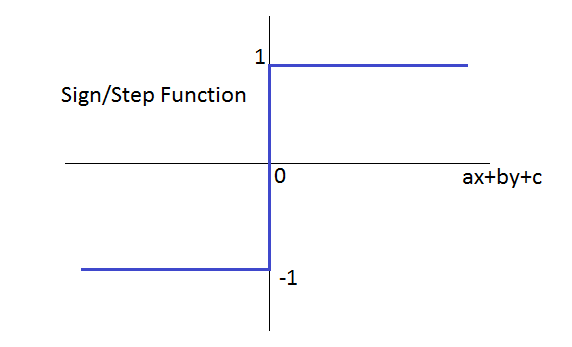 This is the activation function that we are going to use. There are many more activation functions out there but for now, lets stick with sign function. w0 = c ; w1 = a ; w2 = b ; x1 = x ; x2 = y. We have the values of x1 and x2. We need the values of w0, w1, w2. 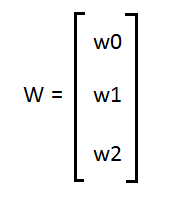 where ΔW is a small change that we will make in W.
How did we get ΔW = Y*(η*X)? Keep reading to find out. There’s an optimization algorithm, called the Gradient Descent. It is used to update the weights in case of misclassification. It does this by using a cost/loss function, that penalizes/tells us the loss in case of misclassification. Gradient Descent minimizes the cost function by gradually updating the weight values. Which means that “ -Y*(X.W) ” gives us a positive value for misclassification of input X. Note that we need to calculate the partial derivative of the cost function(J), with respect to weights W.
Hence, that’s how we got “W = W + η * (Y*X)” for cases of misclassification. Perceptron models(with slight modifications), when connected with each other, form a neural network. Perceptron models can only learn on linearly separable data. 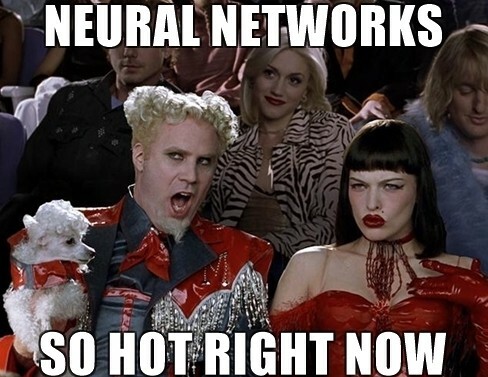 If we want our model to train on non-linear data sets too, its better to go with neural networks. 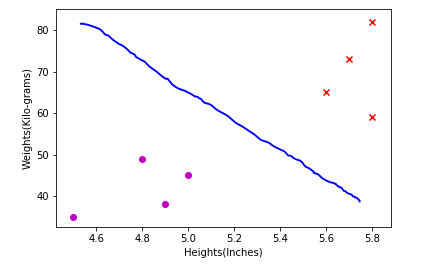 Check out my github repository to see Perceptron training algorithm in action!! Hope that made everything clear. Feel free to post your responses down in the response section below. Follow me for more such Machine learning and Deep Learning articles. Until then, don’t forget to feed your curiosity! !